Oil Changes might not seem like a big deal, but they are one of the most important types of maintenance for your vehicle. Oil serves many functions for your vehicle and failure to keep your oil clean can lead to a lot of very expensive issues. The auto experts at Master Muffler Brigham City know how to make sure that your oil is well maintained. They can also identify problems that could be caused by problems with your oil and lubrication systems. We are conveniently located to serve Brigham City and the surrounding areas, including Nibley, Logan, Tremonton, and all of Cache Valley. Oil creates a barrier that protects your engine from a variety of invasive elements, including rust, dirt, and unburned fuel. In addition to that, it lubricates all of the moving parts in your engine, so that they can operate in conjunction with each other without jamming or breaking. This also reduces the friction between moving parts, which helps your engine to run cooler. When oil in your car gets older, it gets both more watery, as well as more thick and gunky. This causes problems because it can no longer properly lubricate your engine, and may even cause parts to get stuck and break. This is why oil changes, at a regular interval, are so helpful to the lifespan of your vehicle. We generally recommend that most vehicles get an oil change every 3,000 miles, or so, although it can depend on the vehicle and how often it is driven. Our oil changes services are full-service, which means we do a lot more than just top off your oil. First, we completely drain the old oil from your vehicle. While that is draining, a mechanic does a complete checkup on other components in your vehicle, including checking the lights on your dashboard, as well as various parts under the hood and body. This is to check for other parts that may be damaged or getting worn down. 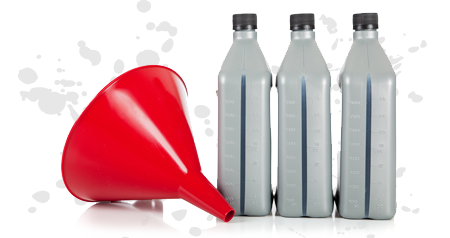 After the oil is done draining from your car, we top off all of your fluids, not just your oil, before giving you a complete report on what we did and what we found. If you need an oil change in Brigham City, then look no further than Master Muffler. We are one of Utah’s most dependable auto repair and maintenance shops. Our friendly and knowledgeable team will work endlessly to ensure that your vehicle can get on the road safely and efficiently.